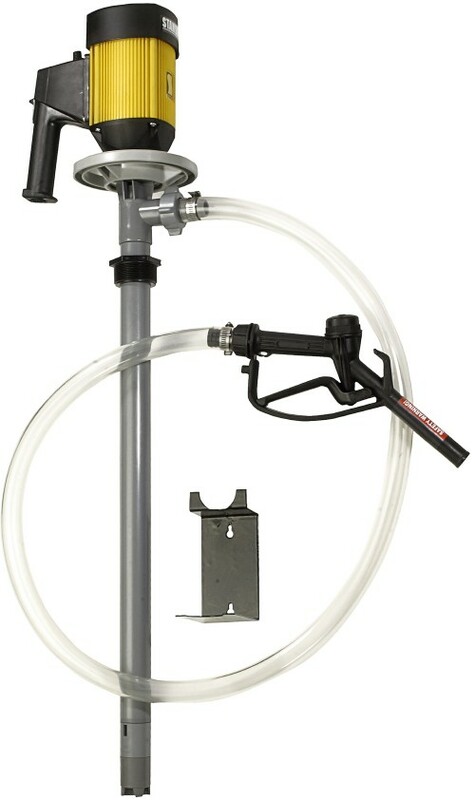 • PVC hose: 6 ft.
SERIES 'DP' Drum Pumps combine modern manufacturing techniques with proven and reliable design features. They are a convenient and efficient eans of transferring and dispensing most liquid chemicals from drums, carboys and tanks. These pumps are available in a selection of engineered plastics or polished SS 316 thus providing a great range of chemical compatibility. The pumps are available in lengths to meet your requirements and all pumps can be used interchangeably with any of our electric or air motors. They can be quickly changed to meet particular pumping or motor requirements.